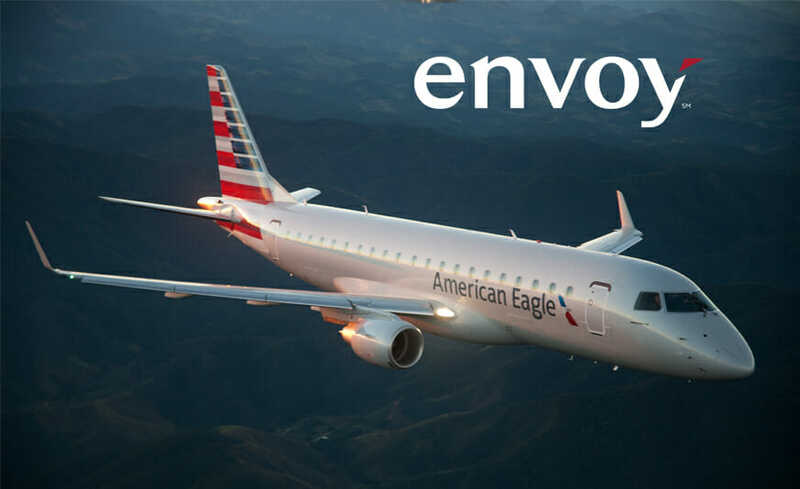 With more than 30 years of experience providing regional service to American Airlines, Envoy Air (formerly American Eagle Airlines) is the largest of American’s three wholly owned regional carriers. 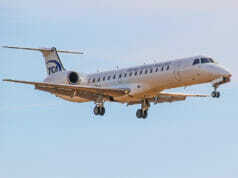 Envoy operates nearly 180 jet aircraft on about 900 flights per day to more than 150 destinations. 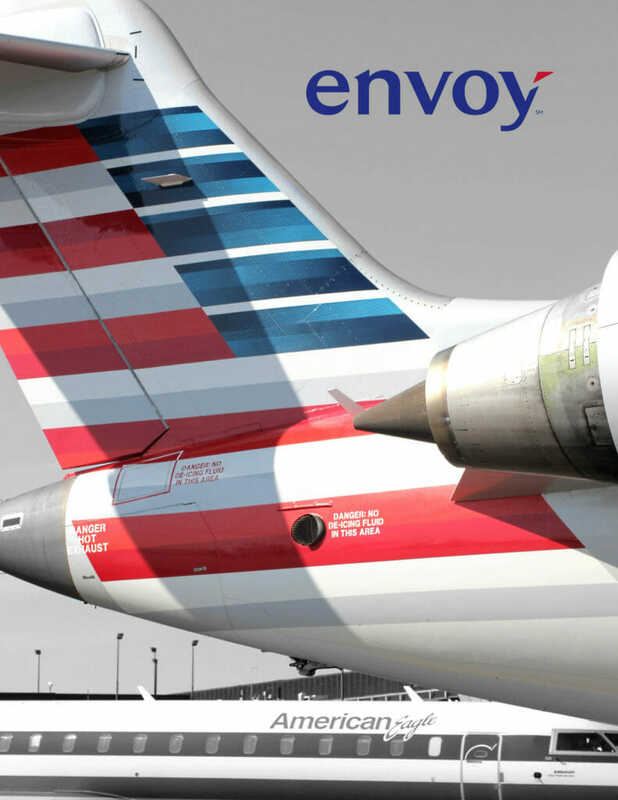 As the largest provider of regional feed to American, Envoy enjoys a unique status within American Airlines Group (AAG). This is clearly demonstrated by the carrier’s unmatched pilot flow-through agreement and American’s recent fleet commitment to place 40 Embraer 175 (E175) aircraft with Envoy, with options for up to 90 more. Envoy’s unwavering commitment to safety starts with the interview and selection process to ensure its pilots are of the highest quality. “Joining the Envoy team is more than getting a job,” says Captain Ric Wilson, Vice President Flight Operations. 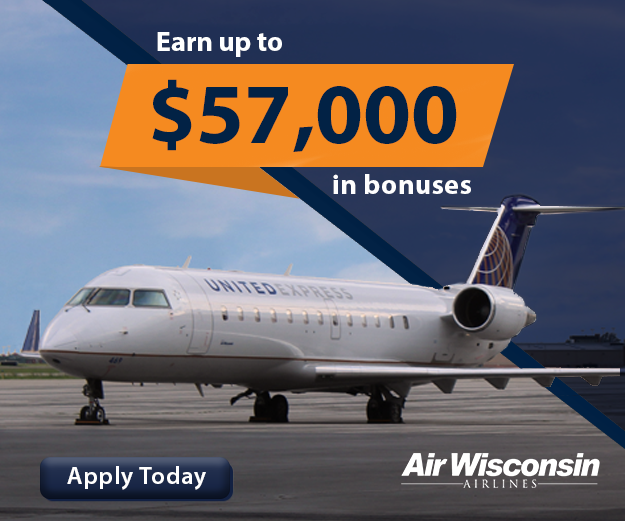 In addition to signing bonuses and free ATP-CTP courses, Envoy is among the top regionals for highest first-year hourly compensation, per diem and open time pay. With crew bases in Chicago and Dallas/Fort Worth, also crew bases for American, you can enjoy smooth commuting as you confidently put down roots in major metropolitan communities. If you’re a pilot who prefers to commute to base, Envoy offers a number of programs to make getting to and from work a little easier. Envoy operates nearly 180 jet aircraft on about 900 flights per day to more than 150 destinations. Once on board, all current and new-hire Envoy pilots have a direct career path to American, without requiring an additional interview. “With our flow-through to American Airlines, you’re launching a lifelong career,” says Wilson. “We maintain the highest standards at Envoy to ensure that American gets the very best.” Current projections indicate that new-hire pilots will upgrade to Envoy captain in just 2 1/2 years and will flow through to American to pursue his or her dream of a mainline career in just six years. Since 2013, more than 500 Envoy pilots have transitioned to an American flightdeck. This represents 62 percent of all pilots hired at American during that period. No other regional has placed more pilots with American over the past 2 1/2 years. 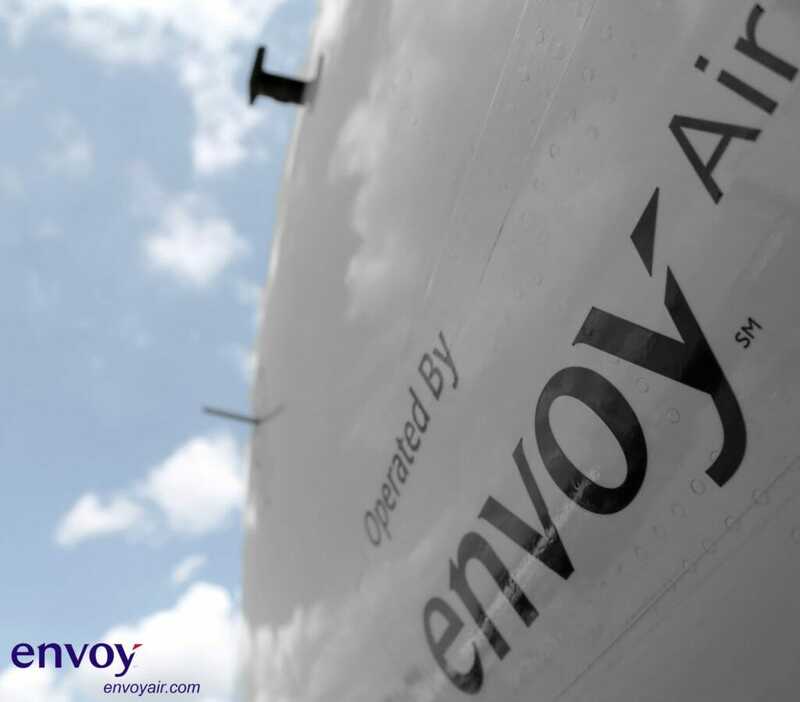 As part of the Envoy family, our pilots enjoy an outstanding quality of life, full of opportunity and benefits. Family medical, dental and life insurance, coupled with accident and disability coverage, allow you to focus on what’s important when you need to. When it’s time to play, Envoy offers discounts on a wide range of travel services like cruises, car rentals, hotels and entertainment, in addition to free flights for you and your family. For pilots who choose to commute to their base, Envoy offers a number of industry leading programs to make getting to and from work a little easier. Commuting pilots are provided a hotel in domicile, up to four times a month to allow for commuting on the night before or the last night of an assignment. Envoy even provides hotels for pilots who are based at DFW, but commute from other cities, while they attend training at the Envoy Training Center in Dallas/Fort Worth. Lastly, the carrier allows pilots to miss a flying assignment due to commuting difficulties up to six times in a rolling 12-month period. To staff the aircraft of tomorrow, Envoy has partnered with 41 colleges, universities and flight schools to develop a direct career path from student to airline pilot. The Envoy Pilot Pipeline Program offers pilots a secured position as an instructor at Envoy while building time toward the ATP minimum requirements. Upon reaching the specified minimums, Pipeline Instructors begin first officer training with no additional interview. Students in their sophomore year or higher can begin the interview process to become an Envoy Pipeline Instructor while still in school. Upon joining the airline as a first officer, qualified graduates earn a $10,000 scholarship. To date, of the 81 Pipeline Instructors who have been involved with this program, 100 percent have passed their training and are now flying for Envoy. We sat down with Capt. Ric Wilson, a 26-year veteran of the airline, for his insights on a career with Envoy Air. You’ve been at the company a long time. What keeps you at Envoy? I am immensely proud of the more than 2,000 professional pilots at Envoy whom I’ve flown with over the years — they are the backbone of our company and absolutely committed to maintaining a safe and reliable operation. When you start with a regional, it’s a close-knit community of pilots, and I have always enjoyed that camaraderie. Working for a large and established regional airline gives you numerous opportunities. I have been provided with many at Envoy and elected to join the management team, but could just as easily have pursued a mainline flying career. What trends do you see in pilot staffing over the coming years? One of the most promising projections I have seen comes from American Airlines, but I suspect we’ll be seeing it across the industry. As more senior pilots at American reach mandatory retirement age, American anticipates a steady stream of pilot retirements over the next three years, with an even greater number of retirements in the years that follow. 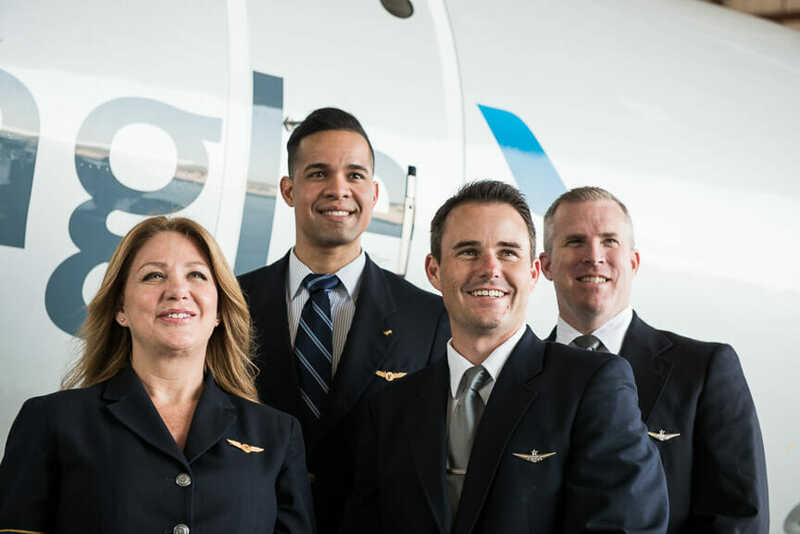 Envoy already maintains a steady flow of pilots to American, but their hiring needs in the next few years represents an amazing opportunity for Envoy pilots. Our flow-through agreement with American guarantees that all existing and new hire Envoy pilots will make up a significant portion of every American new hire class. If your goal is to fly for American, our airline has proven to be one of the best places for you to make that dream a reality. What can an applicant expect when applying to Envoy? We’re committed to safety and have a responsibility to send only the best pilots to American. So when you interview with Envoy, you’re really getting an insight into what a major airline interview is like. We start with a behavioral-based interview, which predicts future performance through past performance in similar situations. Then we conduct a technical interview, simulating a short flight using Jeppesen enroute and approach charts. Finally, we take candidates through a short flight in a Beechcraft Baron Flight Training Device with a visual presentation. We’ve found that this sort of comprehensive interview process ensures the best fit for Envoy. And if you stay and flow-through to American, you will not be required to go through an additional interview. How would you characterize Envoy’s future? There has never been a better time to be at Envoy — I am excited about what the future holds. We are the largest provider of regional feed to American Airlines, the largest mainline carrier in the world, and an integral part of their regional network. There is a tremendous amount of work being done all across the company to prepare for the arrival of our new fleet of 76-seat, two-class Embraer 175 (E175) aircraft, scheduled to arrive in November. American has committed to place 40 E175s with Envoy, along with options for up to 90 more. These large regional jets represent the future of their regional fleet, and we can’t wait to begin operation. 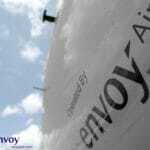 Director of Pilot Recruitment at Envoy. Nick: Envoy maintains a rigorous selection process for our pilots and carefully reviews all applications submitted to www.AirlineApps.com. Applicants who meet our qualifications are invited to interview by a member of our recruiting team at our Headquarters campus in Dallas/Fort Worth. N: Attending a career fair to meet with our recruiters in person is encouraged, but certainly not mandatory for consideration. N: Read the online gouges, ask friends who have interviewed, and talk to other Envoy pilots who have interviewed recently. Know how to read Jeppeson charts, be familiar with Part 121 regulations, as well as Part 91 regulations. Study the Sim packet we send. Then memorize all the profiles, limitations, and memory items. N: For out-of-town applicants, Envoy will fly an applicant to DFW the day prior to their interview. Envoy will provide complimentary hotel accommodations and transportation to make your interview worry-free. N: 8:00 AM Logbooks and paperwork are Briefing begins- collected. Applicants are given a brief overview of Envoy Air and told about the Interview process and what to expect. 1:00 – 2:00 Background paperwork is collected and applicants are fingerprinted. 2:00 – 2:30 Interview should be complete mid-afternoon, with ample time for out-of-town applicants to travel home. N: One of our primary goals is to get to know the applicant. We will go over their application with them and ask questions based on the information they give us. We want to understand how they got into aviation, why they they think Envoy would be a good fit for them, and what their goals are for the future. Then we will ask a few “tell me about a time…” situational questions. These are designed to get an insight into how the applicant thinks, how they interact with others, and to gauge what they have learned from their life experiences. N: Tell me about a time you had a conflict with somebody and how you resolved It? Tell me about a time when you went above and beyond? Tell me about a time you were criticized and how did you handle it? Tell me about a time when you succeeded? N: The TMAAT questions are designed to be general enough that they apply to almost everybody. If the question does not fit your work experience exactly, do your best to come up with a situation that is close to the subject of the question. N: The biggest mistake an applicant can make is to not be fully truthful about their background. It is understandable that applicants may not want to disclose check-ride failures or legal issues they may have had because they feel it might keep them from getting an interview. This is a false assumption, as check-ride failures and/or misdemeanors alone will not disqualify an applicant from an interview or a pilot position at Envoy. However, if they are not disclosed and then show up on the background check, that will eliminate you from consideration. Also remember the saying “you never get a second chance to make a first impression.” Show-up on time, wear a suit and tie, be clean-shaven, be excited to be here, and be professional. N: No, we have eliminated that from the interview process. C: What type of aircraft is used for the simulator evaluation? N: It’s fixed-based Frasca with wrap-around visuals. It is set up as a Baron with G1000 Avionics. C: What types of scenarios should you expect in the simulator evaluation? N: It’s a very straight forward evaluation; there are no tricks or simulated emergencies. We do a basic departure, and then some air-work, climbs and descents, turns, radial intercepts, a hold, a precision approach and a non-precision approach. C: What are you looking for in the simulator evaluation? N: One of the main purposes of the simulator evaluation is to determine the proficiency level of the applicant’s instrument scan. Next we want to evaluate the applicant’s CRM skills. Are they utilizing the non-flying pilot, are they communicating effectively, are they assertive, are they transferring controls to write down clearances and brief approaches? And lastly, did they study the simulator packet we sent them. Do they know the profiles, do they know the callouts, do they know the limitations and the memory items? C: What are the biggest mistakes applicants make in the simulator? N: If an applicant has not been flying instruments in a while it would be a big mistake to not go out and practice some instrument flying before the interview. If your scan is not proficient, it will show up when you get task saturated. Also, we do not use a moving map, so you need to understand how to find your position using VOR radials and how to set up the HSI to properly track a radial. 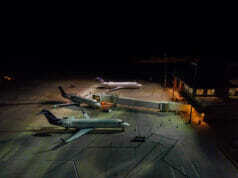 Probably the most common mistake made is entering the hold. Make sure you transfer controls, write down your clearance, take your time and draw out your position relative to the hold, the holding pattern itself, and the entry. Then brief your non-flying pilot. N: If they are successful, applicants will be given a pre-offer of employment right away, pending their background check. The background check can take anywhere from 1-4 weeks depending on how long the paperwork takes to get back. We send out all paperwork that day, but previous employers have up to 30 days to return it. Most employers send it back within a week, but occasionally they will take longer. N: Classes start every other Monday, so it just depends on when we get the background paperwork back and the applicant’s availability. N: We will hire as many pilots as we can, but our goal is to hire at least 50 more pilots for 2015 and at least 250 pilots for 2016. N: Envoy has an agreement with CAE Simuflite in DFW for the ATP-CTP course. It is a week-long course paid for by Envoy, however it requires a two-year commitment that runs concurrently with the $5,OOO or $10,000 bonus agreement. If you need the ATP-CTP course, Envoy will fly you down a week before ground school and give you a hotel and ground transportation while you are completing the course. N: We have a $5,000 bonus program for which everyone qualifies. We also have a $10,000 bonus that is a part of our University Pipeline Program. If you graduated from one of our partner schools with an Aviation-related degree and a GPA of 2.5 overall and 3.0 in aviation classes, and you achieved three advanced ratings from that school, you will qualify for the higher bonus. Both bonuses come with a two-year agreement. C. What Universities are part of the University Pipeline Program? N. Embry-Riddle, UND, University of Oklahoma, US Aviation, and TransPac are just a few of the 41 partner schools we have throughout the U.S. and Puerto Rico. The rest can been seen at: www.envoyair.com/careers. We are always looking for more quality schools to partner with.